What medicine is seeking to make its way into your life? Where are you seeking deeper clarity? Direction? Movement? As humans, it is rare that we get a completely unbiased and pure mirror of ourselves, absent of ego and opinion. Horses are purely responding to the core intent of our energy, our intentions and what we are currently navigating through in our lives. 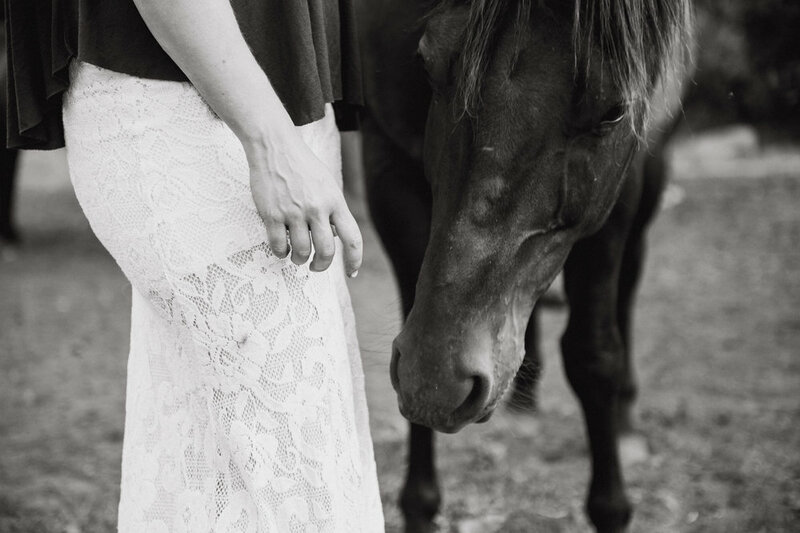 Horses are naturally sensitive, intuitive and attuned to the deeper tones of intent and energy that walks into the space. These big beautiful animals bring us naturally to a deeper place within ourselves, carrying a medicine that reminds us who we are, connects us back to our own courage and clarity, and gives us a pure and unfiltered connection to what we are needing to create transformation. There are times in life, in purpose, in vision where we simply can't move ourselves forward, or see without bias or ego where our path is taking us. Fear can rear it's head, doubt feels magnified and we lose touch with our direction, with our voice, with our power and with ourselves. In this retreat we will be partnering with the clarity and potency of horse medicine, to give us the knowing and medicine we need to move ourselves forward, find courage and confidence in our action, align ourselves back into our visions and create movement in our world. Surrounded in our beautiful valley where the ranch and horses call home, you will be greeted into the magic and beauty and stillness of nature. 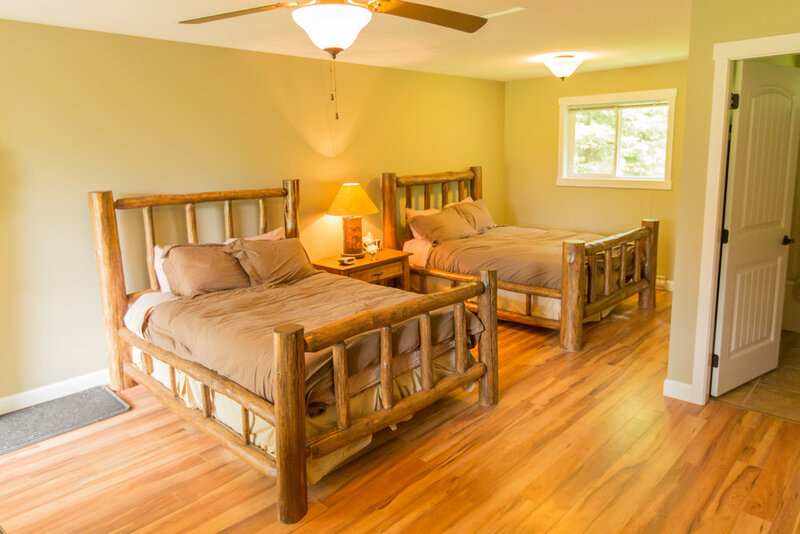 Alongside the majesty of the space, you will also have your own sacred and still cabin to rest and reflect in, healthy and vibrant food to nourish your body and soul and be held in the witness and holding of your depth with the horses and I. Whatever it is you are seeking or needing to be in touch with, you will find it here. I was feeling on the verge of a transition in my life. I could feel myself ready to both transform and emerge, yet there was a huge part of me that was confused, insecure, and afraid. I knew I was taking a big step somewhere, but I did not know where. I came seeking clarity, direction, and strength. And I got it all, and more. The herd offered a gift of unconditional love and acceptance in such a pure form that I have never felt before. They so gently and with so much support, helped me face with ease the blocks that were in my path and asked nothing of me except to know me and for to be my authentic self. I was reminded of my dreams and shown that they are real, and they do exist in this world. I was shown my path and asked to step into it. A torch was passed to me and I was asked to to take up my role as a leader. My weekend with the herd and Hillary was was a so magical and gift of the highest form. Hillary’s horses are filled with so much love that they continually brought tears to my eyes, not of sadness but of gratitude and humility. The weekend was so magical that part of me is left in disbelief, and so magical that it couldn’t not be real. I left feeling complete. Fully catered meals, we take care of every aspect of our time together so you can simply be immersed in the medicine of the horses, nature and of course your guide and facilitator Hillary. As a master space holder, Hillary is attuned to providing a deep and clear space for each participant to receive what they need, her intuition and messenger of the herd is powerful the transformation will be palpable, tangible and held for you not just to have a magical experience here but to take forward into your life. We will begin our retreat on Friday afternoon at 4:oo pm and end our time together on Sunday at 12:00 pm PST. Please plan your travel around those times. Payment plans are available for the remainder of your tuition..